You want to know what activities were running in which country? Please have a look at the menu bar on the left, where you can find results, pictures and reports by country. 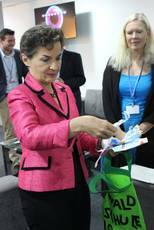 On Wednesday, 03 December 2014, Thomas Brose, Executive Director of Climate Alliance, handed over the “Green Footprints” collected by 180,000 children in 11 European countries to UNFCCC Executive Secretary Christiana Figueres in Peru. This year the children from Austria, Belgium, Czech Republic, Germany, Hungary, Italy, Macedonia, Malta, the Netherlands, Poland and Sweden together collected 2,218,867 Million Green Footprints. 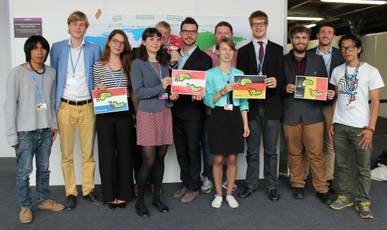 In Lima Brose presented Figueres a map showing the results from ZOOM-Kids in Baesweiler (Germany). Unfortunately their number of footprints took them just half the way to Lima. But as taken from life - or from climate politics he explained: "Moving together makes you move further!" 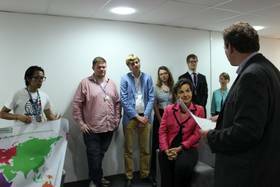 So he asked the attendant Youth Delegates from Austria, Belgium, Germany and the Netherlands to help out and to add the Kids' results from all participating countries. Now there were not only enough footprints for the journey to the UN Climate Conference but also for another 54 (!) times around the world! Then Brose talked about the children's ‘Wishprints’ telling simple but clear messages to the climate politicians like ”We want you to be better role models.” or ”I want you to spend more money on Climate Protection than on bombs and weapons.” He gave Figueres a selfmade 'footbag' (made by participants from Lohmar, Germany) full with the children's concrete wishes and demandsand asked her to pass these messages to the UN Climate Change Conference delegates in Lima. Figueres accepted the bag very enthusiastic and took a very close look at the children's footprints. 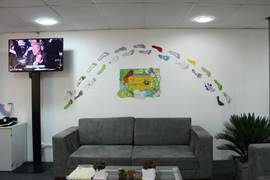 Brose emphasized that the 2.2 million Green Footprints not only represent the efforts and the engagement of the ZOOM kids in almost 1300 schools, kindergartens and other day-care facilities. Together with their ‘Wishprints’ they give a very clear briefing to the politicians in Lima to join forces and develop an ambitious work package for our and especially the children’s future NOW. As it was very difficult to involve some ZOOM Kids directly Climate Alliance asked delegates from European countries to assiste in place of them and there've been as many as never before - thanks to all of them! 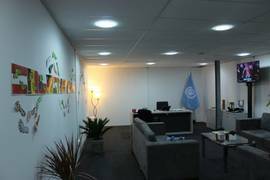 Christiana Figueres was so much inspired by the ZOOM Kids Actions that she just decorated her office with the results. 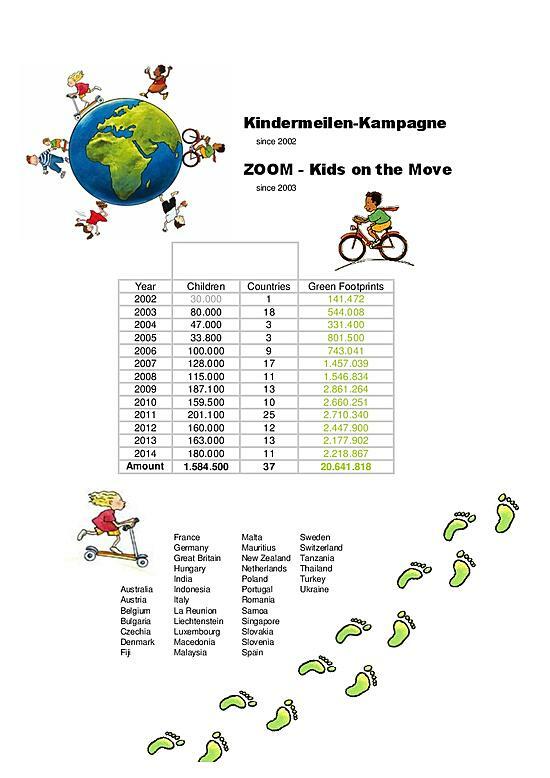 ZOOM-Kids are Moving for Climate Action since 2002 - you can imagine that they collected quite some Green Footprints up to now. If you want to know how many exactly and from what countries they did come from thenclick here (pdf, 130 KB) or have a look at the picture below.